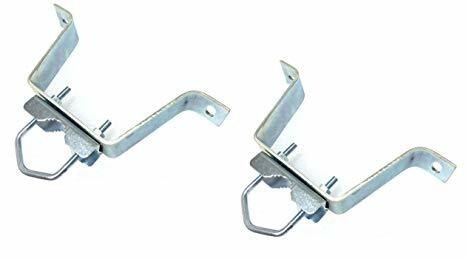 TV Antenna Mast Bracket 4"
HIGH QUALITY "W" TYPE BRACKET. DESIGNED TO MOUNT 1-2" ANTENNA MAST TO WALL. HEAVY DUTY 1-1/4" x 12 GAUGE GALVANIZED STEEL. STANDS OFF WALL 4"
HIGH QUALITY "W" TYPE BRACKET. DESIGNED TO MOUNT 1-2" ANTENNA MAST TO WALL. HEAVY DUTY 1-1/4" x 12 GAUGE GALVANIZED STEEL.